Since past few weeks, Google allows developers to set a minimum purchase price for their apps and in-app purchases on Google Play to as low as Rs. 10 for India. This was done considering the rising popularity of Android devices in India and provide users access to their desired apps and games. 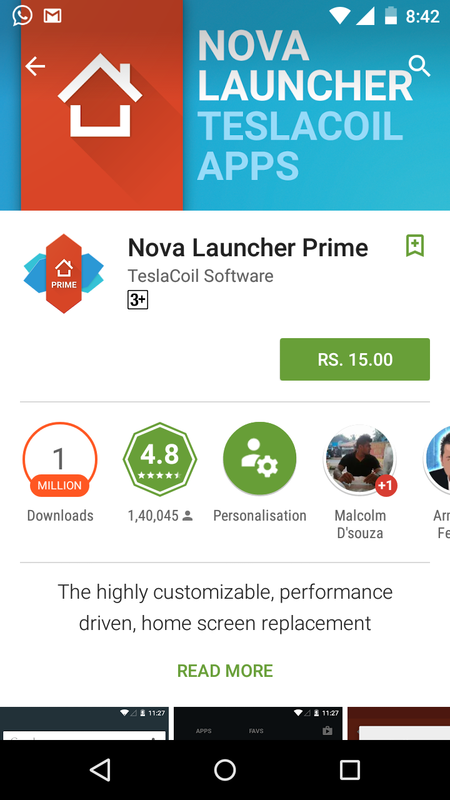 The same seems to be implemented now as the premium version of one of the most popular launcher ‘Nova Launcher Prime‘ is now available for just 15 INR (23 cents in USD) in India. 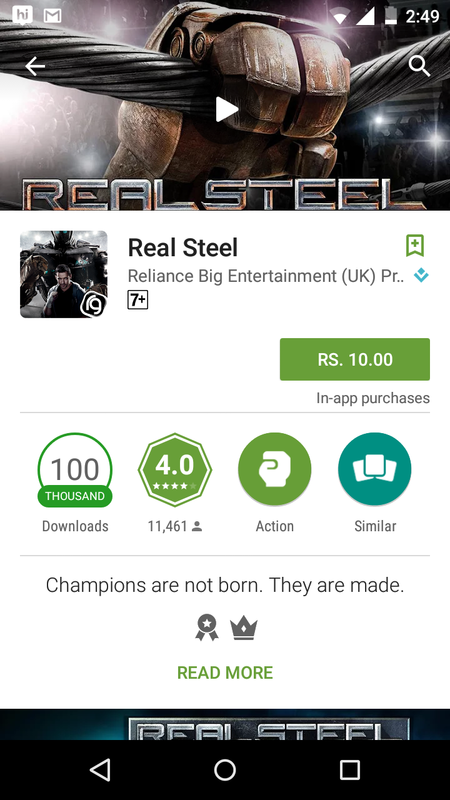 This app which is normally priced at $4.99 is up for sale at such a cheap price only in India as a part of promotion during Indian Independence Day. Reportedly, the price drop is temporary and one shouldn’t miss this amazing offer! Though, there is also a free version of Nova launcher available on Play store but the ‘PRIME’ version unlocks a bunch of extra features such as home screen gestures, unread count badges, custom drawer groups, ability to hide apps, set custom swipe actions, and scroll effects. Besides this, some other apps and games are available on sale for Rs. 10 only ($ 0.15). Do check them out as well. Make sure to buy these apps as soon as possible as the promotion might end anytime soon! In case, Google Play shows you the usual price in USD then try using a Google account registered in India or change the address to India in your email account.